The mutual collaboration between KICABA micro-credit project in Kitui- Kenya and PBF has transformed the many lives of the poor people in this arid and semi region in the eastern part of Kenya, 170km south East of Nairobi. PBF remains to many micro-entrepreneurs in Kitui the ICON of trust, the rebirth of families, the catalyst of people’s job creation initiatives and the ray of hope for the present and future generation. 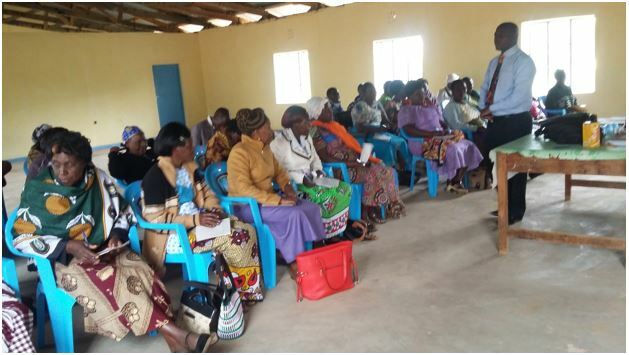 PBF and KICABA Kitui community can boast of a 12 year support out of which 8,400 direct beneficiaries reclaimed their lives and build up socio-economic systems that daily support their households. Micro-credit can be defined as the small and micro-funds accessed to the poor people who have no collateral: such people perform all sorts of income micro-businesses to earn a living, support basic needs of households and create job for those who help them in their work. Over the last 12 years, KICABA through PBF support has reached out to 1,200 entrepreneurs enabling them to access credit. Each of these entrepreneurs has at least 7 members (average people per household) who directly benefit from funds support from PBF. It can therefore be claimed that 8,400 people directly benefit. The multiplying effect is greater because of the Africa( Kamba) culture of sharing whatever little people have within in the context of extendent families. Kitui town , the headquarter of the county where majority of the entrepreneurs live has 60,000 inhabitants. In simple arithmetic of 8,400 beneficiaries out of the 60,000 people point to the fact that 16% (sixteen percent) of the total inhabitants feed their families from PBF! This is amazing. Kitui community has it’s own strength that is, business-oriented people who harness in their work creativity, innovation and cohesion. Recognition of KICABA as a partner in development by the government and civil organizations. Inadequate finances for lending entrepreneurs remain a critical challenge. These funds are required both for community capacity building and lending out. While KICABA has the responsibility of ensuring funds are utilized for the great benefits of micro-entrepreneurs to boost their well-being, more funds are needed as the growth of poor people joining continue to be high. Our current requests for those who need our services in support of businesses three million Kenya shillings.. It is worth to believe in the power, creativity and innovativeness of the local people. Trust, transparency and accountability remain our highest ethic. PBF makes the difference in our lives!